Welcome to Extreme Biker Leather's Online Shopping, please browse around. Our business has been a brick & mortar store for over 15 years in the Upstate New York area. 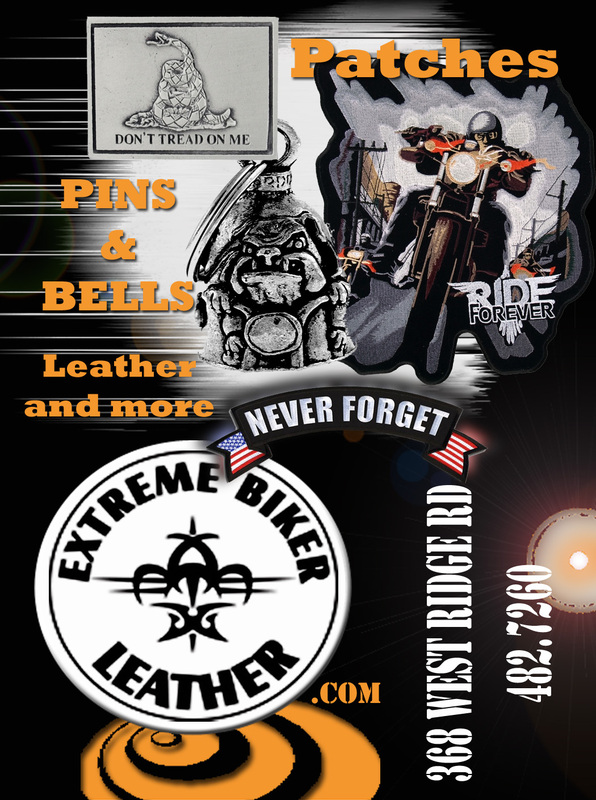 We have been providing the greater Rochester area with a multitude of motorcycle biker apparel and gifts from: leather jackets, vests, chaps, textile jackets and vests, head gear, saddle bags to patches and much more. We own motorcycles and we try our best to find items that we enjoy ourselves and feel that the biker community will love too. We have weeded out a lot of product that just does not meet our standards, and have picked items that suite all body types with style, comfort and affordability. Let’s face it: would you rather not be riding than shopping? to the store at 368 West Ridge Road. are items we carry in our physical store. Start shopping to today with us. Not sure about the actual fit or size that you may need?